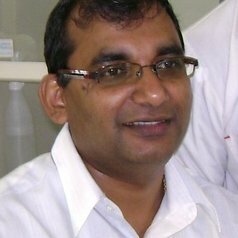 Dr Permal Deo has a background in Molecular Biology and currently a Lecturer in the School of Pharmacy and Medical Sciences at the University of South Australia. He completed his Masters from The University of Queensland, Australia where his research focused on molecular toxicology. He graduated with a PhD from Queen’s University-Belfast, UK, where he researched on molecular pathway of advanced glycation endproducts (AGEs) on cell cytotoxicity, cell receptors, NF-kB, and related pro-inflammatory cytokines. He joined the University of South Australia in 2010, after having worked at The University of the South Pacific, Fiji Islands. Permal’s current research focus is on advanced glycation endproducts (AGEs), functional foods, nutraceuticals, food safety and quality.He is also a Visiting Scientist at CSIRO focusing on the molecular mechanism linking diabetes and Alzheimer’s disease.